Dubai: George W. Bush, the former US President, has a unique connection to Pakistan. 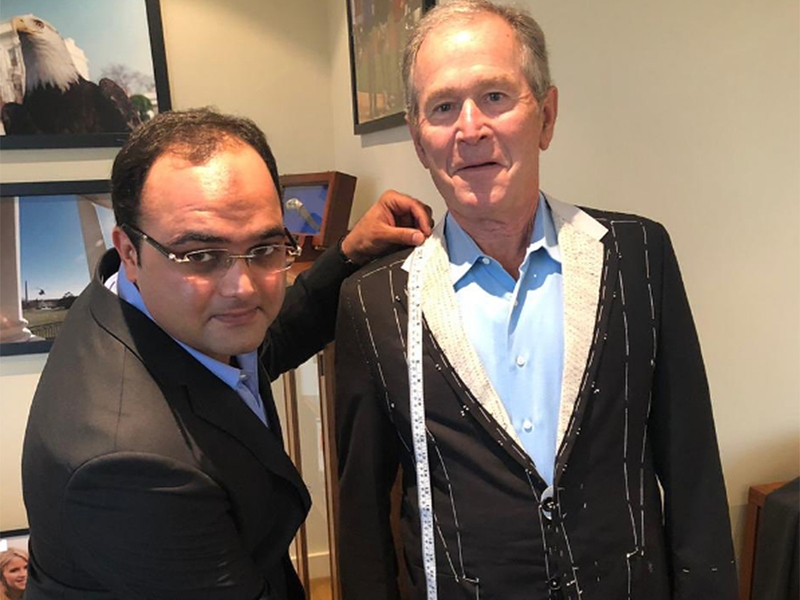 His favourite tailor is based in the port city of Karachi. Pictures and videos of Sarfraz Akbar, who runs a tailoring shop named Ambassador in Zamzama, Karachi, have been circulating on social media channels since yesterday. 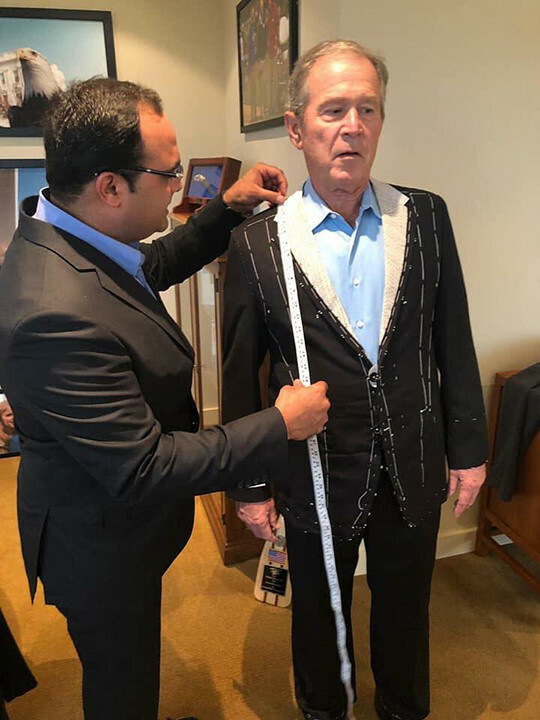 According to several Facebook posts, Akbar was flown to the US on a private jet to assist with Bush’s wardrobe. 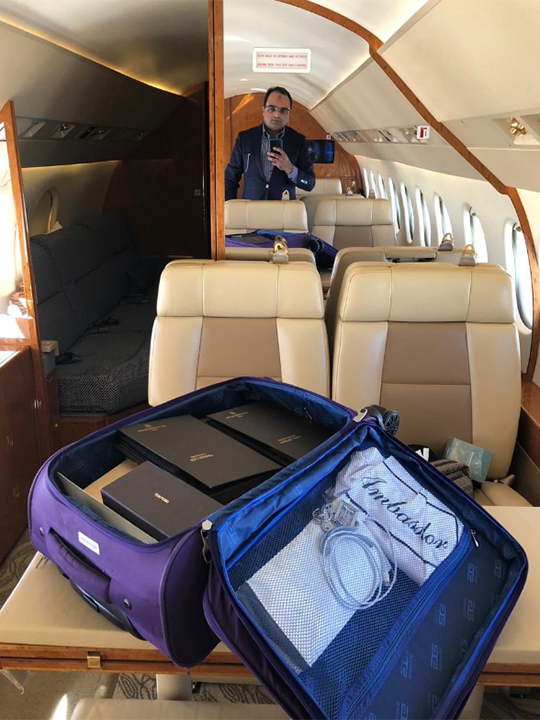 A video of him leaving this jet has been shared multiple times and several pictures also appeared online of him posing with Bush and taking his body measurements. Tweeps and Facebook users immediately picked up on this trend and started sharing their views, most of them quirky, on the subject. Gulf News tried contacting Akbar on Facebook. However, he did not respond.